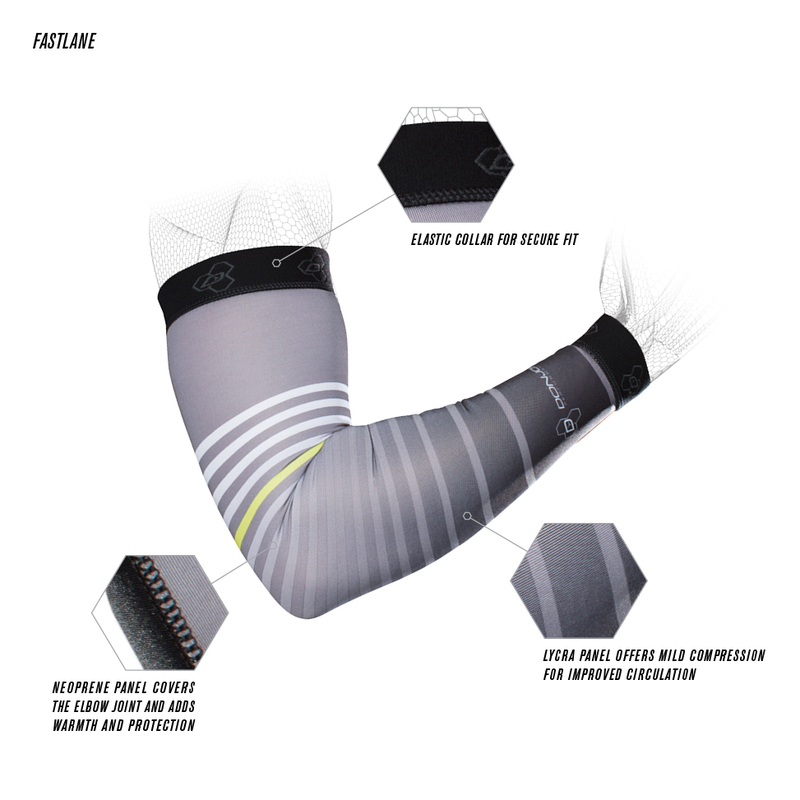 Our DONJOY Performance AnaForm Arm Sleeves features construction combining both lycra and neoprene in the same elbow sleeve. 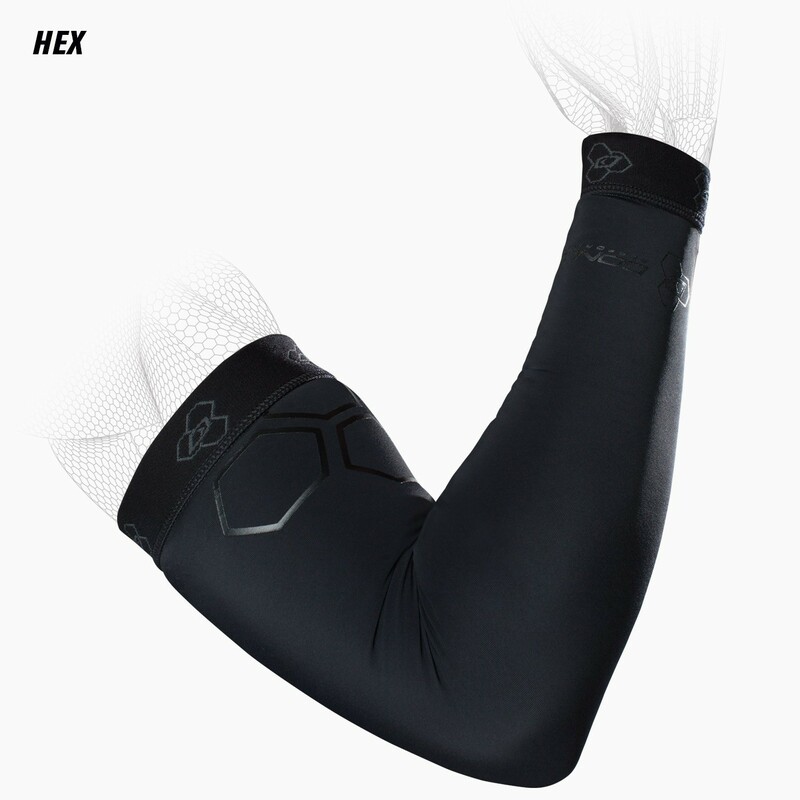 This allows for thermal compression keeping the elbow joint warm during sport and activity. The neoprene panel also helps to cushion falls and eliminate "hit and stick" on courts. Sublimated prints on the lycra panels allow for expression in design, art and style. Elastic collar lines ensure the arm sleeves stay put. How do you know what size to order? I don't see a sizing chart on the order form even though the product comes in different sizes. Am I missing something? INCHES 10-11.5" 11.5-13" 13-14.5" 14.5-16"
I have been wearing this product during football practice. 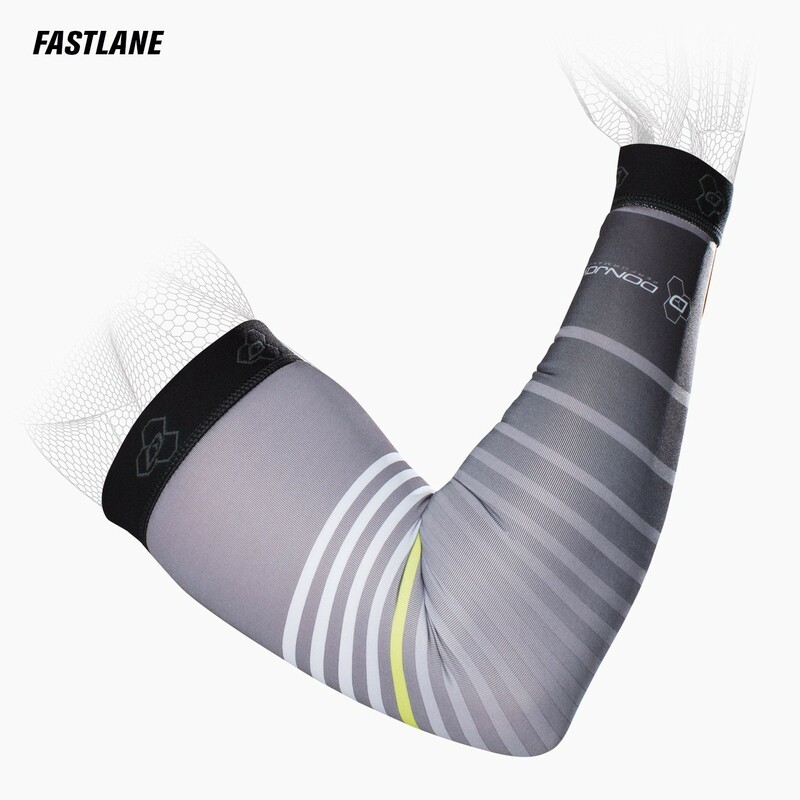 I like it because it keeps my arm warm and tight. 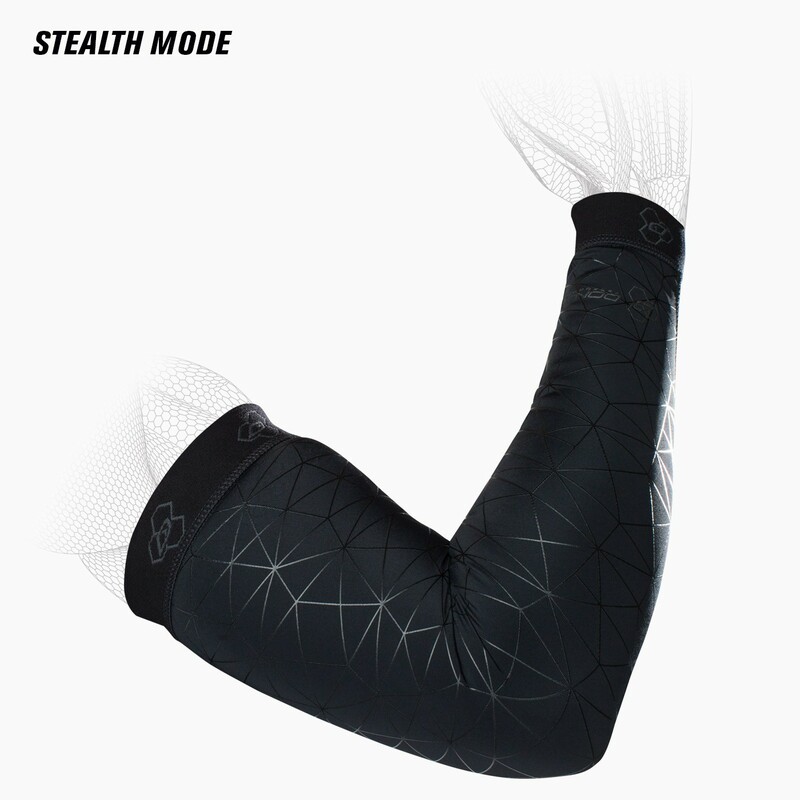 It also has a very thin layer which also allows for breathing and a little protection.